Mt. Hood Glass in Gresham, Oregon, makes your damaged car look new again with our auto glass repair and replacement service. To request a free quote, call us today at (503) 667-0290. Service is provided for all foreign and domestic makes and models of automobiles, commercial trucks, motor homes, travel trailers, canopies, and RVs. We can even install your windshield while you wait. To save you time, we also work with all major insurance companies. We only use the highest-quality O.E.M. Glass and higher-grade adhesives for every auto glass installation. 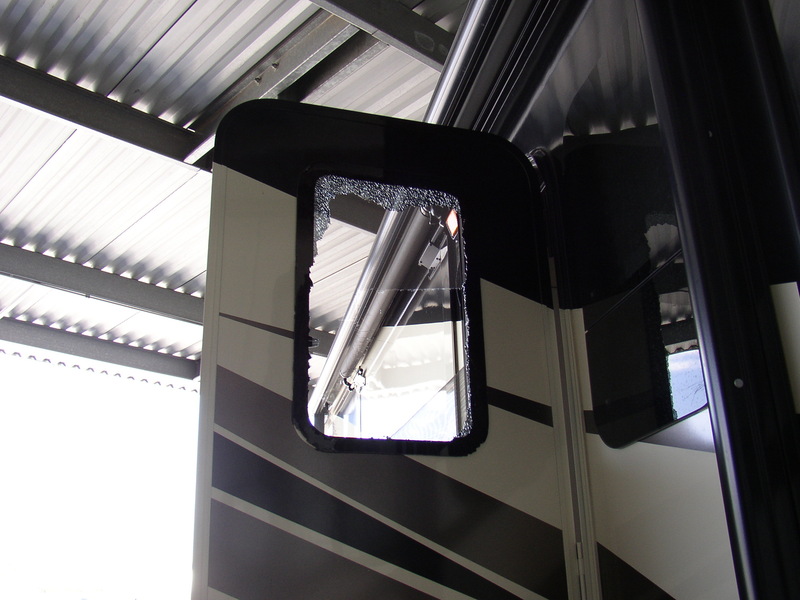 Based on your glass conditions, we can do complete replacements or chip repair. Service for your sunroof or moonroof is also available. You can be confident that your family or employees are protected with quality, factory auto glass that is installed exactly like it was at the factory.. Although I paid for the service, I feel indebted to Mt. Hood Glass. I will never call another company when it comes to any type of Glass repair/replacement job. Thank you so much! This company deserves an award of some kind and the employees deserve and atta boy from their bosses! Keep up the good work!!! Windshield on Jeep Liberty: I came into your shop this morning because my windshield washer didn’t work. Everyone was very busy. I told the person in the office and she said she would get someone to take care of it right away. After a short time Ed came out and took a look and attached the hose back together under the cowl. He apologized and had it done in a few minutes. The way it was handled is the way things should be, but a lot of companies try to get out of doing the right thing. Thank you very much. This company is A+! I’m getting ready to sell my house and a panel in my sliding glass door had lost its seal and was very cloudy. Mt. Hood Glass was recommended to me so I called. They came out the same day to give me an estimate. The estimate was very competitive (better than others I had received) so I ordered on the spot. They called their supplier while I was present to get a delivery date. This was Wednesday and the delivery was scheduled for Friday. They were there promptly on Friday, installed the sliding door glass in short order and I was done! Allen Bayer, the owner, was courteous and professional. I highly recommend! Had a windshield replaced on a Peterbilt 387 at Jubitz Truck Stop. I had called ahead and set up appointment in advance. Carl arrived right on time with new windshield and fully equipped van and did an extremely professional installation in about an hour. I highly recommend Mt. Hood Glass. I was trying to finish a Christmas present project last minute yesterday and this place was already closed when I called. He was nice enough not only to stay open while I made my way over there, but to cut a piece of mirror I needed. THEN the next day I realized I had taken the measurements wrong and needed it cut again, they were really nice and even fixed it at no charge. Had a great experience with these guys! Just a little shout out to you guys this morning!! Thanks so much for the prompt and excellent service you’ve provided me this week! We replaced the glass in two windows, not only can I see out now, but it is so much quieter now! Alan is very knowledgeable about EVERYTHING!! Mt Hood Glass will continue to be my #1 referral for any Glass need!! Thanks again!